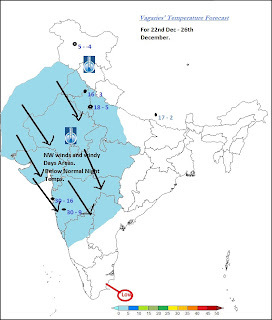 Our expected W.D, numbered D-2, brought moderate snowfall to Kashmir. Resorts of Gulmarg, Sonmarg and Pahalgam received around 1-2 cms of snow. Though not heavy, it was welcome. Srinagar had freezing rain, but no snow was reported. Also, as expected, the cold wave abets to some extent, and the lowest temperatures showed a marked rise. 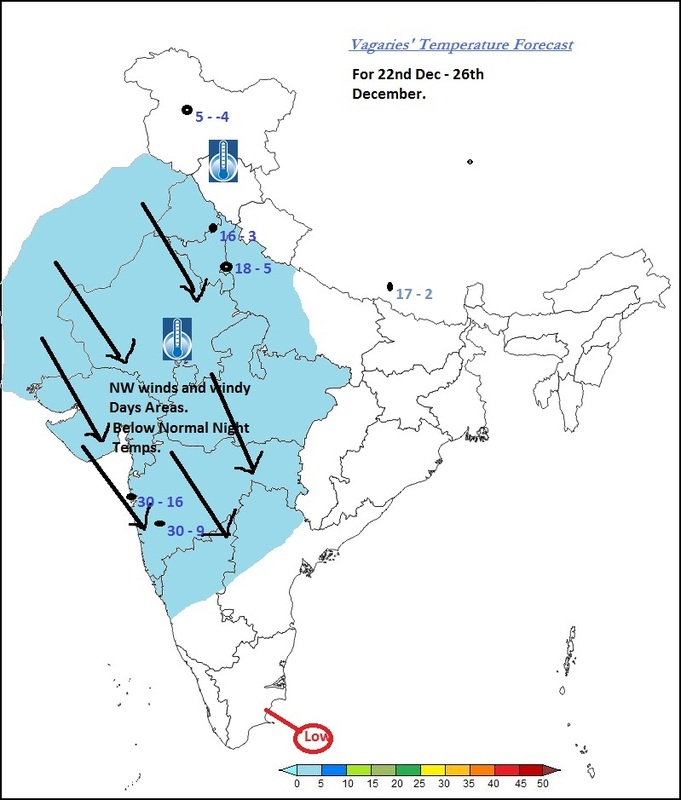 As the system moves away, after the 22nd, we can expect NW winds to set in along the NW /Central and West Coast of India. For the next 3/4 days (22-26th), the regions shown in the Vagaries map above would be in for cold windy days and a drop in the night temperatures. 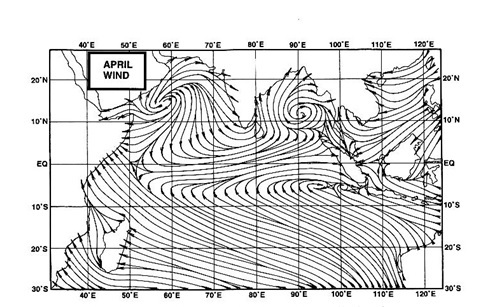 The plains of Pakistan, right down to the Coast, will be windy (NW), and nights are expected to drop till the 26th. Karachi, which is currently at 13c, can fall back to 10c from the 23rd/24th. We shall monitor the system approaching the Southern T.N. coast.